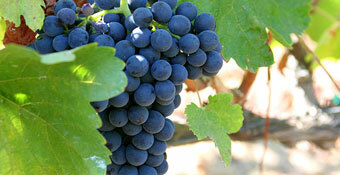 Syrah (Shiraz in Australia & New Zealand) originally from the Rhône, is not a new variety to New Zealand. In fact, it was already grown here over 100 years ago but the variety needs a warm situation to prosper. Since 1995 plantings have risen to 183 hectares restricted mainly to the warmer districts of Hawkes Bay. The variety by comparison to Cabernet Sauvignon and Pinot Noir is relatively easy to grow and is a better cropper. It responds well to oak and has the ability to age gracefully for long periods. Varietal characteristics: Black pepper, spice, clove, cinnamon, plum, coffee, chocolate, leather, bacon, cedar, smoke, tobacco.